Early results of a CDMRP-funded Gulf War Illness treatment evaluation describe this in-process study and suggest its results will be reliable in identifying the value of sinus irrigation to reduce chronic sinusitis and fatigue in GWI patients. 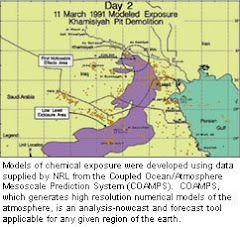 The article below is an update on an ongoing Gulf War Illness treatment study that compares nasal irrigation with saline (NI-S) and nasal irrigation with xylitol (NI-X) in 1991 Gulf War veterans who are suffering from Gulf War Illness with fatigue, and chronic sinusitis, a commonly reported symptom in Gulf War Illness patients. Outcomes measured in the study include: fatigue-specific and overall health-related quality of life; pro-inflammatory cellular and cytokine profiles; cost-effectiveness and participant satisfaction. Read this May 2011 91outcomes article, "Promising New Treatment for GWI Sinusitis Funded for CDMRP Study," for more information about this study and the nasal irrigation with xylitol. The study, based in Madison, Wis., is currently recruiting additional 1991 Gulf War veterans with Gulf War Illness who have fatigue and chronic sinusitis. Veterans need to live near enough to Madison to be able to easily travel to the study site for multiple visits. For contact information and more about this study, see this ClinicalTrials.gov overview. Effectiveness of Nasal Irrigation for Chronic Rhinosinusitis and Fatigue in Patients with Gulf War Illness: Protocol for a Randomized Controlled Trial. Hayer SD1, Rabago DP2, Amaza IP1, Kille T3, Zgierska A1, Zakletskaia L1, Krahn D4, Obasi CN1, Molander RC4. 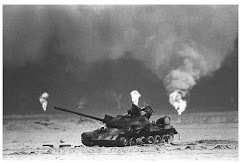 Gulf War Illness (GWI) affects 1 in 7 returned Persian Gulf War veterans. Quality-of-life impact is large; there is no cure. Chronic sinus symptoms and fatigue are common. Nasal irrigation with saline (NI-S) or xylitol (NI-X) improve sinus symptoms and fatigue in the general population. This trial will assess the effect of S-NI and X-NI on sinus and fatigue symptoms, economic outcomes and pro-inflammatory milieu among participants with GWI. 75 participants (age 35 to 65years, 25 in each of three arms) with GWI will be recruited from the Veteran's Administration and the community. They will use routine care for sinus symptoms and fatigue and be randomized to continued usual care alone or additional therapy with NI-S or NI-X. Participants will be able to adjust specific elements of the NI procedure. The primary outcome (Sinonasal Outcome Test, SNOT-20) and other self-reported assessments will occur at baseline, 8 and 26weeks; lab assessment of pro-inflammatory cellular and cytokine profiles will occur at baseline and 26weeks. Other outcomes will include fatigue-specific and overall health-related quality of life, pro-inflammatory cellular and cytokine profiles, cost-effectiveness and participant satisfaction. Baseline demographic and clinical data from the first 10 participants show effective participant recruitment, enrollment, randomization, retention and data collection. Early study conduct suggests our participant-oriented approach will yield high rates of participant adherence and data capture, facilitating robust analysis. Results of this study will clarify the value of NI for chronic sinus symptoms and fatigue among patients with GWI.